There is a countless amount of different apps for Mac OS X. You have apps for everything you can imagine doing with your computer. Here is my personal top six of the best and coolest Mac apps that will make your life much easier. Alfred is an app that allows you to work quicker than ever and be way more productive. Pressing your Alfred hotkey combination of your choice (for me it’s alt+space) will bring up a small pop-up, where you can enter commands you want to have executed. It can be as simple as searching for something on Google, but can go as far as completing a whole workflow just by pressing a few buttons on your keyboard. The basic version of the app is completely free. Although, if you want to make use of the more advanced functions you should buy the Alfred Powerpack for £17 ($25 or €20). The guys over at TheVerge have explained it very well and how they use it on a daily basis. Check out the video below. Fantastical is, as you might have guessed, a fantastic calendar tool, which allows you to create new calendar events by simply typing in what the event is about in a natural way. For instance, if I would want to schedule a lunch with Philipp for tomorrow at our favorite place, I would simply enter “Lunch with Philipp tomorrow at 5 at Vapiano”. Fantastical would then create an event with the title “Lunch with Philipp”, add Vapiano as the location and would invite Philipp to join the event via email. The app’s design and UX fits perfectly into OS X. 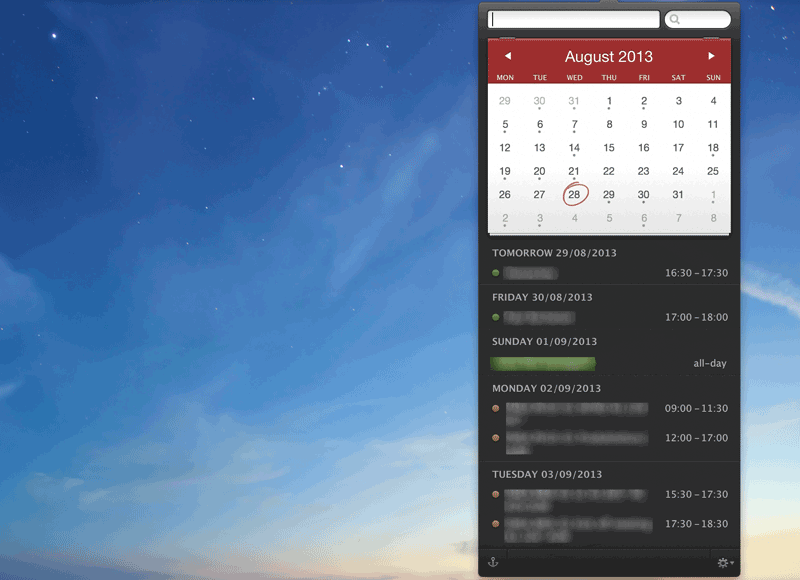 It also easily integrates with iCal, BusyCal, Entourage and Outlook. You can get the app for free with a 14-day trial. Afterwards it would cost you $19.99 (€17.99). Definitely worth the money. 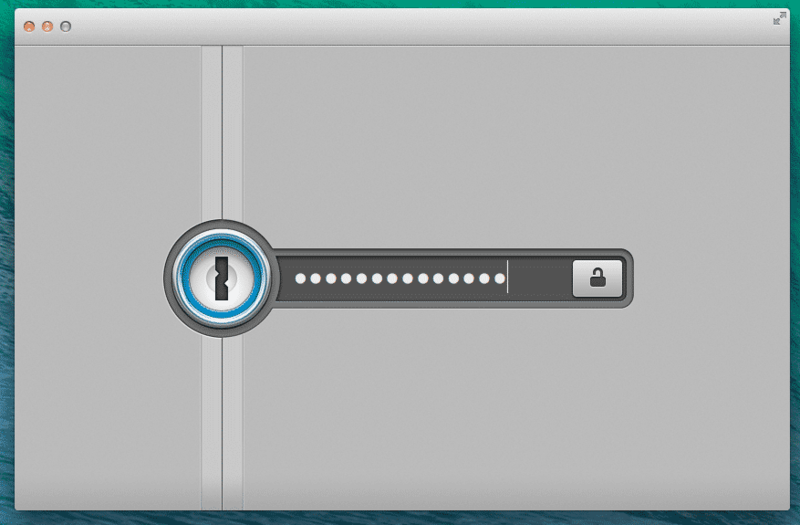 1Password is the best password manager out there. And the beauty of it is that you can store as many passwords as you want to, but you only have to remember one: your master password. It also works perfectly with the most popular web browsers! So if your online banking password is 20 characters long and contains special characters (or a password which you simply can’t remember), use the 1Password browser extension, enter your master password and you will be logged-in automatically! I use 1Password to, basically, auto-fill all my logins, store all important passwords and generate ridiculously complicated ones without ever worrying about forgetting them. You can also enter all your payment data such as credit card details and use 1Password to fill in everything automatically when needed. If you are a student, you will get $10 off the original price. So you will only need to pay $39.99 for a single license. And believe me, it’s worth the money. Once in a while 1Password is offered at a great discount, so watch out! Better Touch Tool does exactly what the name of the app says it doe: It makes your touch control better. 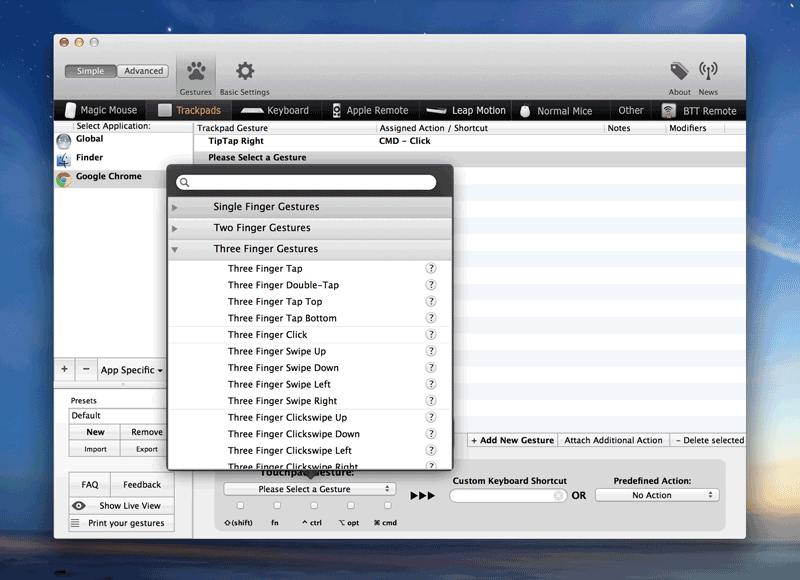 The app allows you to assign actions you want to certain multi-touch gestures, which can even be bound to specific apps. Not only can you do this with your regular touchpad, but also with your Magic Trackpad, Magic Mouse, Apple Remote and assign actions to hotkeys on your keyboard and even assign actions to Leap Motion gestures(beta). BTT also gives you the option to enable window-snap, which is a Windows-like function that positions your windows side by side or maximize them by dragging it to the sides or the top of your screen. 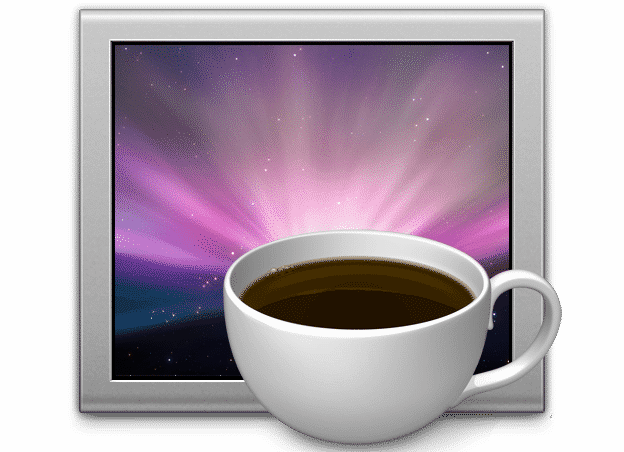 Caffeine is a small app that will prevent your Mac from going to sleep of dimming the screen by simply clicking on an icon in your menu bar. Very useful, very simple. 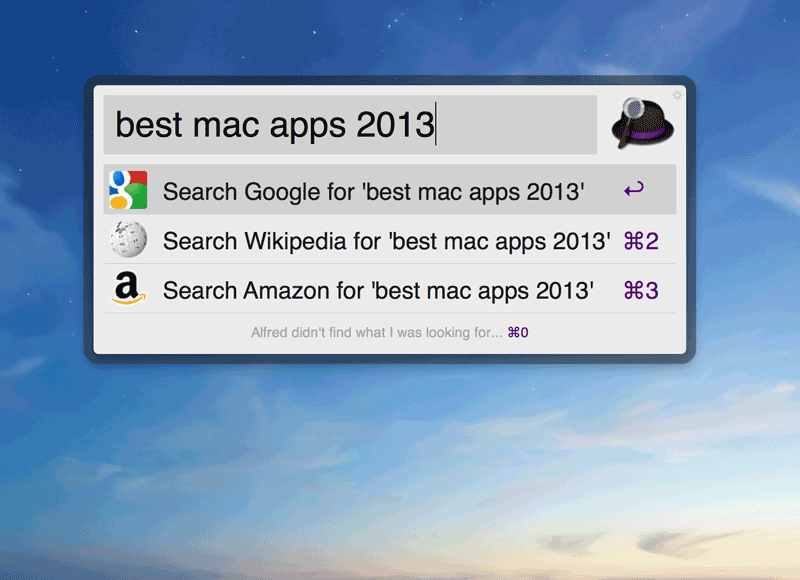 This app is great for people who have just switched to using a Mac. Pressing and holding down the Command key will display a ChaetSheet window with all shortcuts available within the app you are currently using. 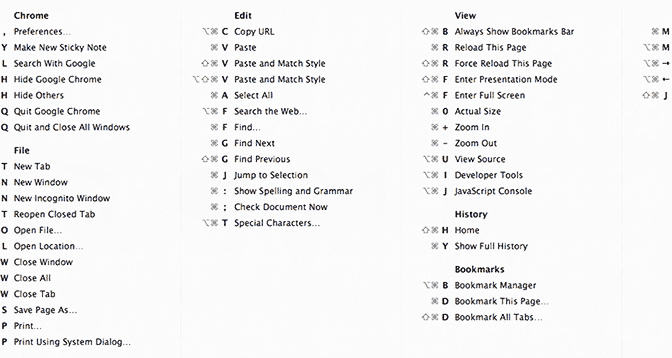 CheatSheet is also useful for more experienced users who want to expand their knowledge of quickly navigating Mac OS X. The Unarchiver is a free tool that can unarchive many different types of files. The app works without you having to actually notice it. You can set it up to automatically unarchive every file you download, or simply unarchive a file by double-clicking it.